Over 200 proposals for EU-supported programmes designed to promote agricultural products have been received following a call for interest in January. There are two types of promotion programme: simple programmes submitted by one or more organisations from the same EU country or multi programmes which are submitted by at least two organisations from at least two EU countries or one or more European organisations. The simple programmes are managed by the competent authorities in each EU country, while the multi programmes are managed by the Commission through its executive agency, CHAFEA. For 2017, some 189 proposals were received for simple programmes, while for the multi programmes 35 proposals were submitted. The proposals will now be analysed and applicants are expected to find out if their proposals have been successful in October 2017. The selected campaigns, which usually run over three years, will be co-financed by the European Commission at rates of 70-85%. 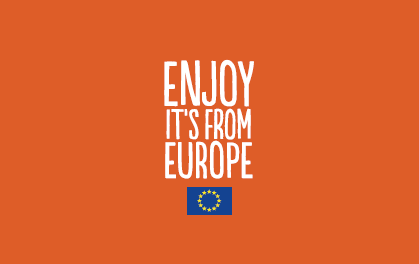 Beneficiaries have to use the EU-wide Enjoy! it's From Europe branding in their campaigns. Some €133m from the EU budget is allocated for these promotional programmes in 2017. The majority of the funding (€63 million) available for promotions is aimed at simple programmes in non-EU countries and regions, including China, the Middle East, North America, South-East Asia and Japan. EU agriculture commissioner Phil Hogan has visited many of these countries and regions in the past year or so to promote EU quality agricultural products, and will continue his diplomatic offensive next month with a trip to the SIAL food show in Toronto, Canada. The programmes will focus primarily on fruit and vegetables, meat and dairy products, as well as quality on the EU's quality schemes and on raising awareness of sustainable agriculture and the role of agriculture in climate action.